SEAS CA26RFX H1305 is a classic 10” woofer with a hand coated paper cone and matching natural rubber surround. A 2” high temperature voice coil with black anodized aluminium coil former gives high power handling and reduced power compression. 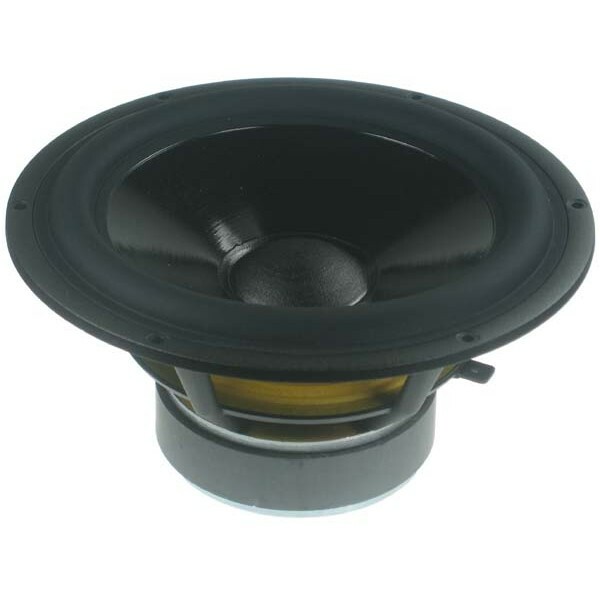 SEAS CA26RFX H1305 is a classic 10” woofer with a hand coated paper cone and matching natural rubber surround which produces a well behaved roll off characteristic and reduce potential resonance problems. A 2” high temperature voice coil with black anodized aluminium coil former gives high power handling and reduced power compression. The large magnet system gives good sensitivity and transient response, and the bumped back plate in the magnet system allows maximum utilization of the long voice coil without mechanical limitation. The extremely stiff and stable injection moulded metal basket keeps the critical components in perfect alignment. Large windows in the basket both above and below the spider reduce sound reflection, air flow noise and cavity resonance to a minimum.